Update: This post contains data on Harvard SAT Scores based on Harvard’s class of 2022. I love your ambition! Let’s make it happen. There is no magic formula for getting into Harvard. The newest class of students admitted into the hallowed halls of Harvard (including Magoosh’s own Lena Felton) represents a tiny-but-diverse portion of the group that applied. Of the 42,749 students who applied last fall, 1,962 were admitted. Harvard reports that this was a record low of 4.9% admitted. Given that Harvard stated that its previous year’s admission rate of 4.9% represented a record low, we can infer that Harvard admissions have become even more competitive. So, getting into Harvard isn’t easy, and it’s not getting any easier. But you knew that already. That’s why you want to attend! When reviewing your application, Harvard is looking for the total package. They want to admit students who will not only thrive academically, but who will also add something new and interesting to their student body. Harvard admissions officers are creating a community of scholars, and they truly value diversity. The Truth: You will definitely need to have a good GPA and be amongst the top of your high school class. (If that’s something you’d like to improve, check out the video below for tips.) 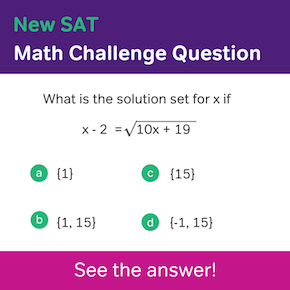 In addition, you will need to excel on your SAT. On your application, you will also need to demonstrate, through extracurricular activities and hobbies, that you value civic engagement, teamwork, and non-academic endeavors. What SAT Score Do I Need to Get In to Harvard? Don’t worry – Harvard isn’t looking at you as a faceless SAT score on an online application. In fact, Harvard’s Class of 2022 is a fairly diverse group. There is no absolute minimum SAT score that you need to get into Harvard. Though, considering that Harvard only admitted 4.9% of applicants last year, it’s safe to say that your entire application has to make an impression. So what’s that look like, section by section? *Numbers here are from the class of 2020. We’ll let you know when there’s an official update! What does that mean? The top 25% of admitted students earned a combined SAT score of over 1570 (that’s near perfect). The middle 50% earned between 1470 and 1570. And the bottom 25% earned below 1470. As you can see, 75% of Harvard’s recently admitted class scored above 1470 on the SAT. It’s also important to note here that you can take the SAT more than once. Harvard Admissions understands that people get nervous, and that their first test score is not always indicative of their ability to perform well on the SAT. So, if you have already taken the test once and didn’t manage to earn a 2100 or above, or 1400 or above on the new SAT, don’t stress. Harvard will see all of your SAT scores, but will only consider your highest scores. There is one caveat, though: Harvard Admissions believes that taking the SAT more than twice offers diminishing returns. And the evidence supports their claim (duh, it’s Harvard – they did their research.) After taking the SAT two times, your score isn’t likely to change much in either direction. P.S…Go here for updated information on SAT Score Ranges for the Top 100 Colleges and Universities! Study for the SAT! If Harvard is your dream, then you need to start planning early. 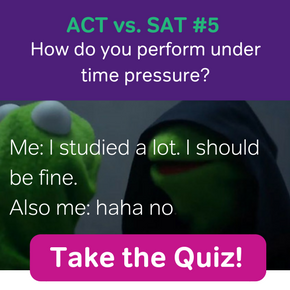 Take the PSAT your sophomore year, create an SAT study schedule that works in your busy life and in your time frame, beef up your skills with an SAT prep program that works for you (I recommend checking out the Free 1-Week SAT Trial at Magoosh), and consider taking the test twice if you need to. “Good grades and great SAT/ACT scores aren’t exactly rare among Harvard applicants – the real currency for applicants is potential. Harvard admissions officers try to find those students who they believe can make an impact on culture and society. That may seem completely out of your league, but remember, they want future world-changers, not necessarily current world-changers. You don’t already have to be Oppenheimer or Thoreau to be accepted – although that wouldn’t hurt. Your main objective when applying to Harvard should be to convince the admissions department that you are well on your way toward that goal. All in all, prepare yourself to the best of your ability and have no regrets. Hopefully, Harvard will admit you with open arms (and some financial aid.) But, if not, there are plenty of other amazing universities out there that would love to add you to their community. Editor’s Note: This post was originally published in December 2013 and has been updated for freshness, accuracy, and comprehensiveness. Yes, selective colleges like Harvard will certainly consider your score from sophomore year – especially since it’s well within the range that Harvard is looking for! That’s a great question! Here’s a post we wrote about Harvard ACT Scores. Looks like you’re definitely in the running with a 35. Well done! The average composite SAT score of Harvard’s most recently admitted class was 2237, which means that ~50% of students scored higher than that and ~50% of students scored lower. Only 25% of Harvard’s newest freshman class scored below 2100 on the SAT. So, in order to be considered for admission with an 1800 SAT score, the rest of your application must be absolutely stellar and really stand out from the crowd. I hope that helps! Good luck with your prep. Took a 5 on all of my 9 AP Classes. Harvard– and U.S. schools in general– have no problem accepting students from every country in the world, including Turkey. If Harvard is your dream school, keep working toward it as you continue on from the 9th grade into high school. You’ve got plenty of time… And it’s always wonderful to hear from a student who is so ambitious and has such great long-term goals. I scored 2500 on my SAT and 800 in every Subject test. Will I get into Harvard? Did you mean you scored a 2400? That would have been a perfect score on the old version of the SAT. (Pre-2016.) With that and an 800 on the subject tests you took, you’d certainly be in Harvard’s preferred score range. That being said, many factors other than test scores are considered in admissions decisions for Harvard and other top schools. If you have perfect scores as described, though, it’s probably worth your while to apply. Provided your high school grades were good and everything else on your application looks good, I’d say you have a good chance. Hi. I score 2380 in SAT 1. I had only 6A’s out of 9 subjects offered. I have little leadership qualities. Will Harvard admit me? Hi, I am from UK. My grades at school are great for Maths and further math’s but are quite bad for physics and chemistry due to a debilitating illness I had during the exams. Ig I get a near perfect score in the SAT and both subject tests, will I have a good chance of getting in as an international student. 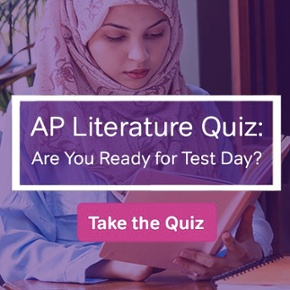 Also, which test would you recommend I should take, SAT or ACT? First off, sorry to hear that you got sick and your grades suffered. That’s the worst! The SAT and ACT are equally accepted by schools in the United States right now. A small handful of top schools are impressed with students who take both tests, but really you could be fine getting a top score on either one of the two exams. I have scored 80.6 % marks in class 12 final exam in 2016. Now I want to study in US. And also scored 2410 in SAT exam. May I apply Harvard University for an undergraduate program?? Hi! I am an international student. I wrote the SAT without essay and i am going to write the SAT with writing on november, 5. The early action deadline at Harvard is on 1st november and i don’t know if they will see my SAT score from november, or if they will consider my application without it (in case if it gets lost). I have a good score at my previous SAT and also at my TOEFL test (which includes writing section). My application is also very strong. So you should be taking the test with essay just in the nick of time. 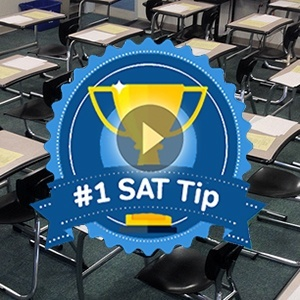 It may also help to send your previous no-essay SAT score with your initial application packet, along with a note that you’ve done an early November retake with essay. Contact Harvard Admissions directly about that though– you’ll want to check with the source to see if that really is a good idea. Is it compulsory that we have to give SAT 1 and SAT 2 “BOTH” for the admission in Harvard? Hi Ashwani. That depends on your desired department and program. Have you done some research on the Harvard site? That’ll be the best source of information! First of all, congrats on taking the SAT and getting such a great score! I’m sure you worked and studied hard to achieve that 🙂 Our expertise is in test prep, not admissions advice, so we can’t really tell you whether these scores are good enough or how much you would need to improve. We do know, however, that test scores alone are not enough to get you into a university. The university will look at your test scores as well as your essays, transcripts, experience, letters of recommendation and other factors in order to create a strong class. Even getting a perfect score on the SAT is not a guarantee that you will be admitted! I encourage you to keep researching and working on your application–the stronger your overall application, the better the chance that you will be accepted! and vice president in collge club,..do I have any chance to apply and get into havard? I would like to study in nuclear engineering for future sern job…. Our expertise is in test prep, not college admissions, so I’m afraid I can’t give you any more information than what we provide in this blog post! I recommend that you do some research into this (here’s a good place to start) to get a sense of what Harvard is looking for in an application! I am from Rwanda, Africa; I got 680 in Physics SAT subject, and 610 in Math. Is it a good idea to send them to Harvard, in fact, I want to study STEM?
. The middle 50% earned between 1470 and 1570. And the bottom 25% earned below 1470. Ummmm…no math majors in the house? It looks like we made a mistake here! Thanks for letting us know 🙂 It should say that 25% scored above 1570. I’ll send this along to our content improvement team so that they can fix it!